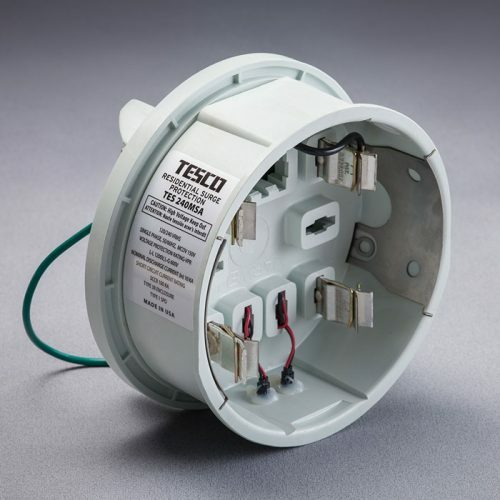 Introducing the TES 240SE Surge Arrester, installed at wattmeter, service entry or weatherhead locations for commercial and industrial applications. 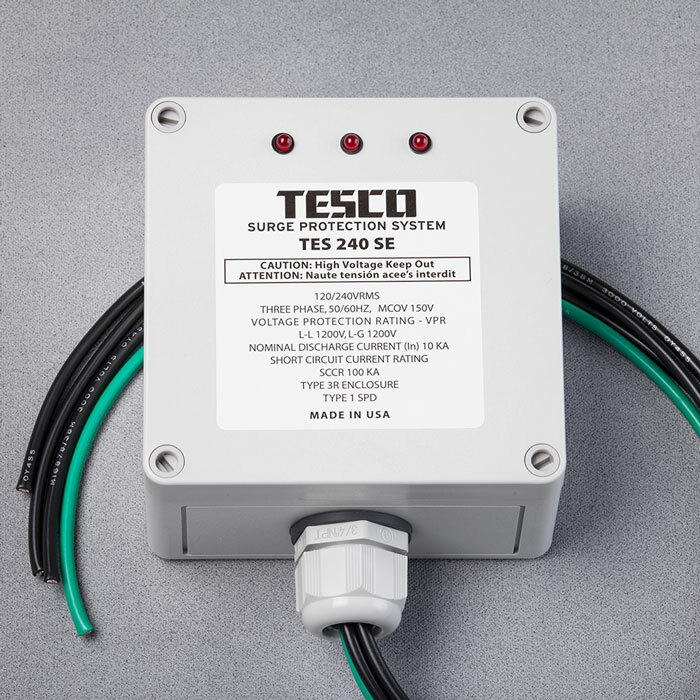 The TES 240SE Surge Arrester is specifically designed for long lifetimes even with strong lightning activity and temporary line overvoltage conditions. A tough Surge Arrester for tough line conditions. Three Phase 240 VAC Surge Arrester for commercial and industrial usage. Installed at distribution indoor panel, safely clamps and dissipates AC line high voltage current impulse going to a residential, apartment or light industrial building.